Overruled is full of the humor many readers have come to anticipate from Emma Chase. One of my favorite things about her writing is how her male voices so closely sync up with the guys I know. They don’t read like a woman writing a man, sounding off and slightly more endearing than is realistic. Instead, the men feel like guys we all know and love, speaking like we would expect them to. Chase’s male characters are more authentic and less fairytale. I had one big issue with this story but it was surprisingly easy to ignore for most of the book. The main male character, Stanton, has one characteristic that I had trouble with. I feel like, overall, he’s a good guy, but this one thing…it scores high on the douche-o-meter. I’m not going to say what it specifically is because it is a running thread throughout the story, but he sure has some nerve being okay with certain choices he makes. Not to mention he’s oblivious to the results of his actions. I found myself grumbling about it and then quickly moving on simply because Stanton is so likable in every other way. This also ties into Sofia, the main female lead. Is she a masochist? She chooses to accept Stanton’s "douchebaggery" and even justifies it. I wasn’t fond of that but she is otherwise a strong female lead. The narration for the audiobook is great. I particularly enjoyed Jason Carpenter’s performance. He sounds like Matthew McConaughey and doesn’t try too hard with his female voices, leading them to sound more natural and less forced. This allows for a smoother listening experience versus someone who tries too hard, causing the shift in gender it be more disruptive. Charlotte Penfield did a nice job as well. I think she naturally has a slightly monotonous voice but when she adds inflection it really emphasizes parts of the story well. I generally enjoyed Stanton and Sofia’s story and I hope to love the series. The audiobook is definitely worth picking up just to hear that slight southern twang that is forever charming. 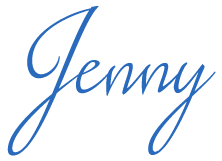 Great review as always Jenny!